Waukee Community School District is excited to launch our new district logo. As the district prepares to open a second high school, it is important for the district to establish an identity separate from the current high school activity logo. The new logo and colors were approved by the Waukee Board of Education on January 9, 2017. This new design encompasses the district’s philosophy and will be used to represent everything that is not associated with an activity. The activity logos, school colors and Warrior mascot at Waukee High School are not changing. The Waukee “W” and Warrior mascot logos will continue to represent all activities at Waukee High School and will continue to appear on apparel. 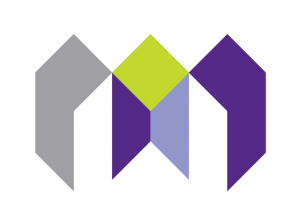 The district’s new logo visually connects Waukee APEX with Waukee Community School District with its four primary colors, Waukee purple, chartreuse green, gray and light purple. The colors that appear in the new district logo are not the colors for the second high school. No decisions about the second high school’s name, colors or mascot have been made. Conversations about the second high school’s colors and mascot will not begin until we have determined which students will be assigned building. As a district, we believe it is crucial to have students who will attend the new school included in the identity process. Students in the classes of 2022, 2023, 2024 and 2025 could be the first to attend the second high school. Boundaries for the second high school are expected to be set late 2018 or early 2019. This fall the district will launch new district and building websites. The new sites will be responsive, making it easier to access information from a mobile device. These sites are expected to go “live” in November. Incorporating the Waukee APEX colors with the new district logo was important because it’s a district program that will serve both high schools. Waukee Purple signifies the district’s history. Chartreuse green represents district innovation. Gray symbolizes our focus on fiscal integrity. Light purple conveys the district’s ability to grow and adapt with the community. The overall design illustrates how Waukee, West Des Moines, Clive, Urbandale and surrounding areas come together to create Waukee Community School District. As a district, we honor individual differences, while working together to do what is best for all students. When the five pieces are brought together, they create W’s (Waukee Community School District). Together we create Waukee. Mission Statement: Dedicated to optimizing individual learning and potential for success in a global community.